Aim: This study was aimed at determining the prevalence and associated risk factors for hepatitis B virus (HBV) infection among human immunodeficiency virus (HIV)-infected patients in a tertiary teaching hospital in Nigeria. Patients and Methods: Venous blood was collected from a total of 1680 (comprising of 1177 HIV infected and 503 non-HIV infected) patients and tested for the presence of HbsAg using immunochromatographic technique. Results: The seroprevalence of HBV among HIV and non-HIV-infected patients was 3.8% and 3.6%, respectively. HIV was not identified as a risk factor for HBV seropositivity (P = 0.919). A statistically significant association was found to exist between CD4 count <200 cells/mm3 and HBV seropositivity among highly active antiretroviral therapy-naïve HIV-infected patients (odds ratio [OR] = 10.085, 95% confidence interval [CI] = 1.314, 89.56, P = 0.008). HIV-infected males were observed to have a significantly higher prevalence of HBV infection (male vs. female: 6.1% vs. 3.1%; OR = 2.046, 95% CI = 1.103, 3.299, P = 0.029). Tribal mark was identified as a risk factor for HBV infection among HIV-infected male patients (P = 0.042). Conclusions: Male gender, presence of tribal marks, as well as CD4 count <200 cells/mm3 are risk factors for HBV infection among HIV-infected patients. Interventions by appropriate agencies are advocated. Background: Human papillomavirus (HPV) is a major etiological agent in cancers, especially cervical cancer. More than 96% of cervical cancer cases are positive for HPVs, especially high-risk types. The screening of HPV in cervical cancer patients will impact on the early diagnosis and prevention of the malignancy by a vaccine. Materials and Methods: The aim of the study is to detect HPV in Libyan cervical cancer patients aged between 34 and 80 years. The 38 formalin-fixed paraffin-embedded tissue samples of cervical cancer tumors were obtained from Misurata Cancer Center and Tripoli Medical Center. The DNA was extracted and used for polymerase chain reaction (PCR) analysis to detect HPV using specific primers. The clinical data of patients were collected and correlated with the presence of HPV. Results: Our data showed that 71% (27/38) of studied cases were infected with HPV. The presence of the virus was detected mainly in both squamous cell carcinoma (73%) and adenocarcinoma (33%) patients diagnosed with Grade III of cervical cancer. Conclusion: The infection with HPV is high in Libyan cervical cancer patients. The PCR is a promising molecular technique to detect HPV in cervical cancer. The molecular screening of the virus will improve the early diagnostics of the disease and test the efficacy of its prevention plan in the Libyan population. Purpose: The prevalence of diabetes in Libya is increasing. There is also concern that diabetes may be occurring at a greater frequency in younger adults, where longer disease duration could increase the risk of developing complications in later life. We describe the age of diagnosis and the prevalence of cardiovascular risk factors in a sample of Libyan patients with Type 2 diabetes mellitus (T2DM), collected from the city of Zliten. Methods: The study was conducted in the Zliten Diabetes Center using data recorded from the first visit patients in 2010. A total of 903 patients (433 males and 470 females) with an average age of 52.93 ± 12.44 years (range 16–96 years) were available for the analysis. Results: Average duration of T2DM was 6.81 ± 6.58 years at the time of sampling. 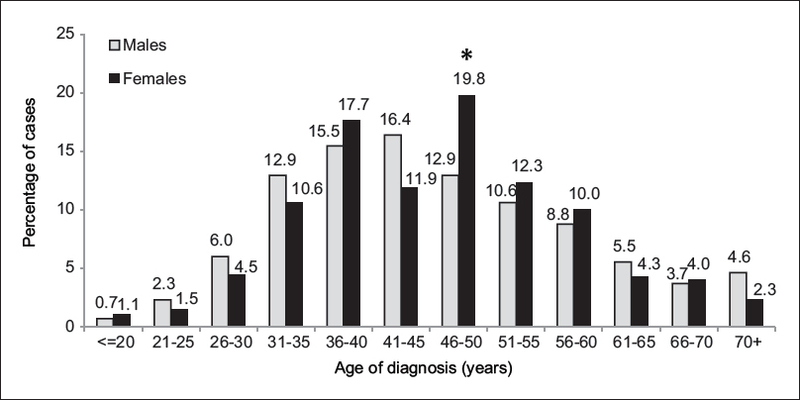 Percentages of early aged diagnosed patients were high, with 455/903 (50.39%) having been diagnosed ≤45 years of age. Men were 1.3 times more likely to have been diagnosed at an early age than females (95% confidence interval: 0.99–1.71; P = 0.0483). However, there was no association of age of diabetes diagnosis with major cardiovascular risk factors of glycosylated hemoglobin, cholesterol levels, or body mass index. Conclusions: This is the first recorded data on T2DM in this area. Our study shows that a high percentage of people with T2DM were diagnosed ≤45 years of age. 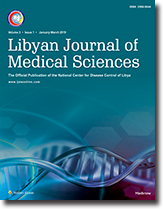 Background: To improve the efforts that try to detect the common risk factors of postoperative nausea and vomiting (PONV), this epidemiologic survey was designed to evaluate the present incidence of PONV for different types of common surgical procedures among patients of Tripoli Medical Center, Tripoli, Libya. Methods: Over a period of 6 months, the prospective interview-based survey included more than 170 elective surgical inpatients aged between 18 and >65 years and received general or regional anesthesia was done by the authors. Results: Among the 170 patients surveyed in this study, the incidence of PONV at the recovery room was 28.2% and 22.3%, respectively. Over the whole 24 h period, the incidence of PONV was gradually increased to 32.3% and 25.8%, respectively. The highest prevalence of PONV was observed in the gynecology patients. Female patients were suffered from both nausea and vomiting more than male patients. Besides, PONV in patients who received general anesthesia was much more common than those who received regional anesthesia in both observation periods (the recovery room and the ward). Conclusion: Our study shows various risk factors of PONV. These factors could help to increase the possibility of recognizing patients at risk for PONV. Osteosarcomas and rhabdoid tumors are highly aggressive cancers, often described in children. Association of these two pathologies was described for the first time in Miami in 2016. 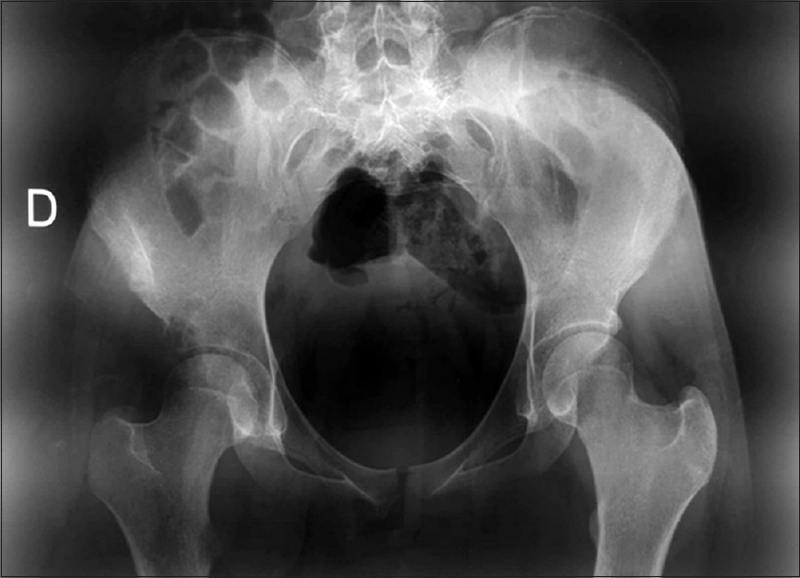 Here, we report the second case of osteosarcoma associated with rhabdoid features diagnosed in Tunisia in a 16-year-old female. Our patient had metastatic mediastinal adenopathy at presentation and died after one course of chemotherapy. As this tumor is unusual, the diagnosis represents a real challenge. 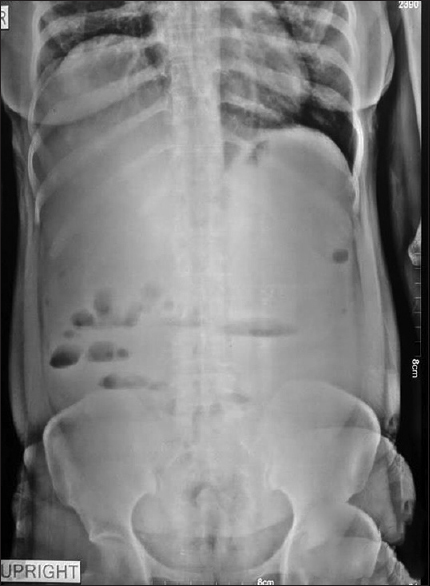 Sclerosing encapsulating peritonitis (SEP) is a very rare cause of intestinal obstruction in adults, due to total or partial encapsulation of the small bowel by a fibrocollagenous, cocoon-like membrane. SEP can be primary (idiopathic) or secondary. A 38-year-old nulliparous female who required recurrent paracentesis and laparotomies for intestinal obstruction and was diagnosed to have SEP with extensive endometriosis involving ovaries, peritoneum, mesentery, and appendix along with massive hemoserous ascites is reported here. Endometriosis is a very unusual cause of SEP.
Pregnancy is a confusing time. With many serious complications that can occur, such as preeclampsia which is a serious condition of pregnancy. Visual disturbance is one of the preeclampsia symptoms. However, some other diseases can appear simultaneously and can be hidden in this clinical situation. 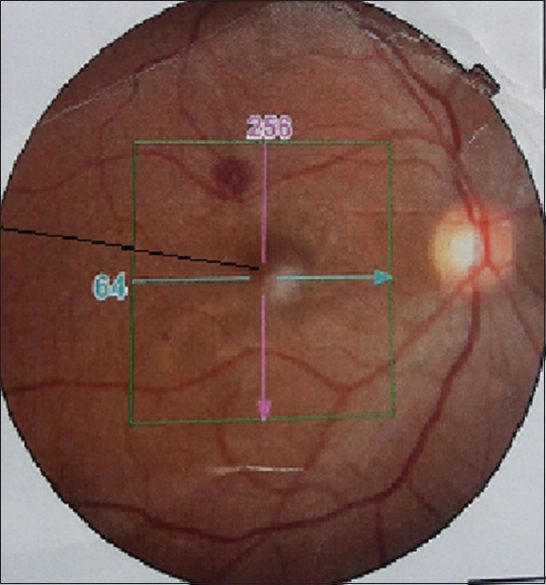 We report a particular unusual case of a 34-year-old pregnant woman who presented with bilateral serous macular detachment with associated retinal leukemic infiltration as the sole sign of an acute lymphoblastic leukemia.